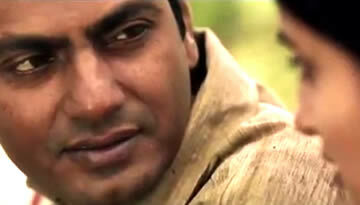 Watch the official theatrical trailer of Chakravyuh releasing 24th Oct, 2012, a Prakash Jha film starring Arjun Rampal, Abhay Deol, Manoj Bajpayee, Esha Gupta. 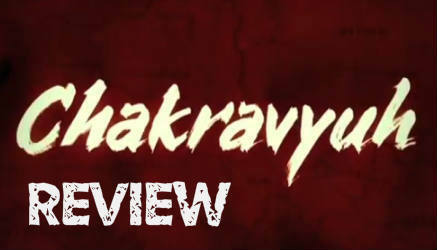 Chakravyuh is an Eros International and Prakash Jha Productions' film starring Arjun Rampal, Abhay Deol, Manoj Bajpayee, Esha Gupta, Anjali Patil and Om Puri. The film is based on Naxals. There is a war raging in India. A war whose end can’t be seen. A war that isn’t being waged by outsiders. The enemy is our own! The youth of the country are rebelling.. Against injustice, against tyranny, against exploitation. Inequality will not be tolerated forever. There is anger, and there is deep social unrest. Our own countrymen are locked in the bloodiest armed mutiny this country has ever seen. Chakravyuh is the story of six extraordinary characters, each with an all-consuming dream.. A promise.. A promise they will uphold above everything else. Adil Khan (Arjun Rampal): The Cop. Strong-willed, courageous, and regarded as one of the most dependable badges in the force. Driven by one overriding goal: The rule of law has to reign supreme. And, anyone who breaks it, is his enemy. Period! A loving husband, a vigorous lover.. And above all, a true friend! 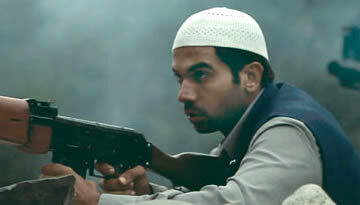 Kabir (Abhay Deol): The Rebel. Born off the streets, a man with no history. Impulsive, totally free-spirited, the quintessential rolling stone. With the heart of a lion, he lives on the edge, thriving on danger. He has only one anchor in life – his friendship with Adil. To whom he owes everything... For whom he will do anything. Anything at all! Rhea Menon (Esha Gupta): The Strategist. A brilliant intelligence officer, an expert in interrogation. She fights hard, and she loves hard. She is Adil Khan’s wife, and co-soldier, she loves and fights shoulder to shoulder with him. Rajan (Manoj Bajpayee): The Revolutionary. The most feared man in the region, this mysterious leader will not stop until he has fulfilled his promise... Of turning helplessness into empowerment, of replacing suffering with justice.. Of destroying the oppressor! Loved by his people, hated by his enemies, Rajan is unstoppable! Juhi (Anjali Patil): The Warrior. Born in poverty and misery, raised in oppression and cruelty... until she picked up the gun! And with that came a purpose - To fight for liberation, for freedom. The price is high, the odds great. But, so is her resolve. This is a fight that she will take all the way, right to the very end. Govind Suryavanshi (Om Puri): The Messiah. Born in the lap of luxury, educated in London, he could’ve been a top corporate leader. Instead, he chose the rocky road. And became mentor to an impossible movement. A movement of the people, by the people, for the people. Six indomitable characters, six parallel lives... Bound together by one story. But, when the story takes its stunning twist, it sends them hurtling towards one another – for inevitable collision. Straight into the heart of the Chakravyuh. And, unleashes a war. A war in which no one can remain neutral. A war that tests their loyalty, their trust, their love... and their friendship. Chakravyuh! A war that no one can escape... Not even you!